In todays digital age it has been extremely easy to bring you digital photos from our trip virtually as they happen, but imagine a trip where the memories you bring back are more than files on a small piece of plastic. This is exactly what our friend Taka does. 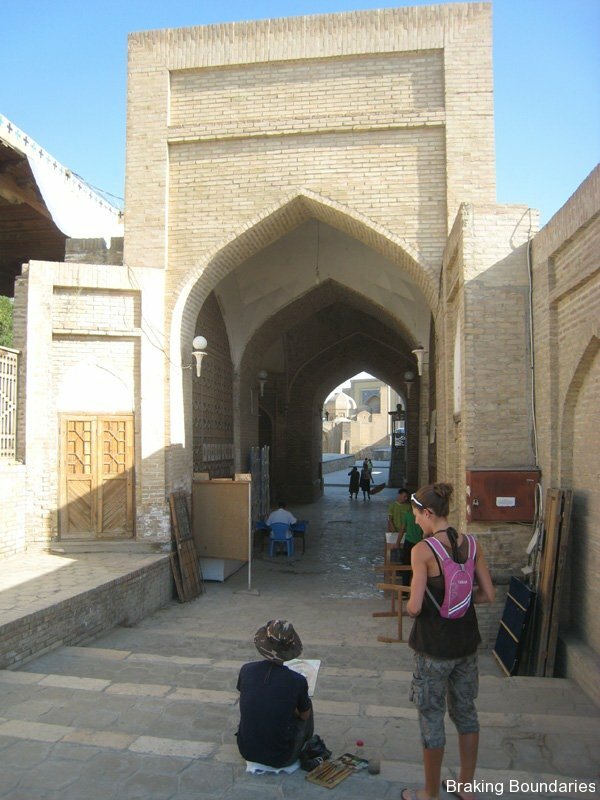 We first met Taka in Bishkek, Kyrgyzstan where he was waiting for visas to be sorted out. 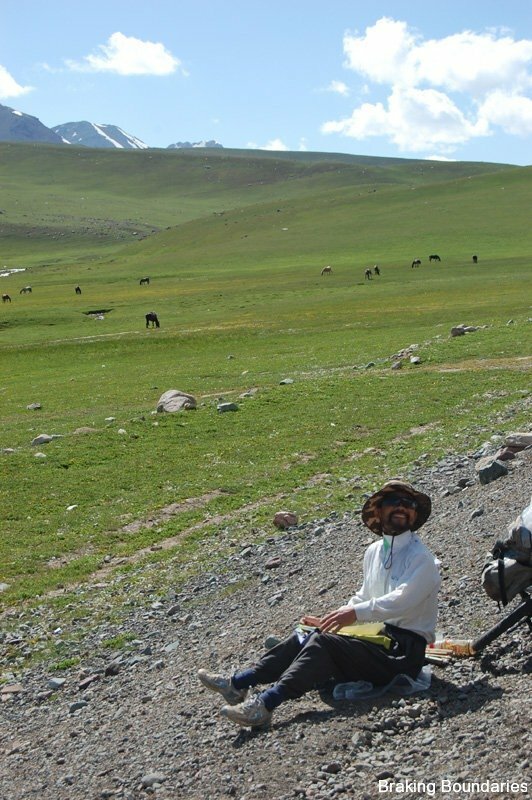 Taka, a soft spoken Japanese man from a small village outside of Tokyo was heading to Uzbekistan along the same road as and left for Osh the just a few hours before we did. We caught up with Taka the next day in the Mountains of Kyrgyzstan. He was sitting near the top of the second 3000 meter pass painting. 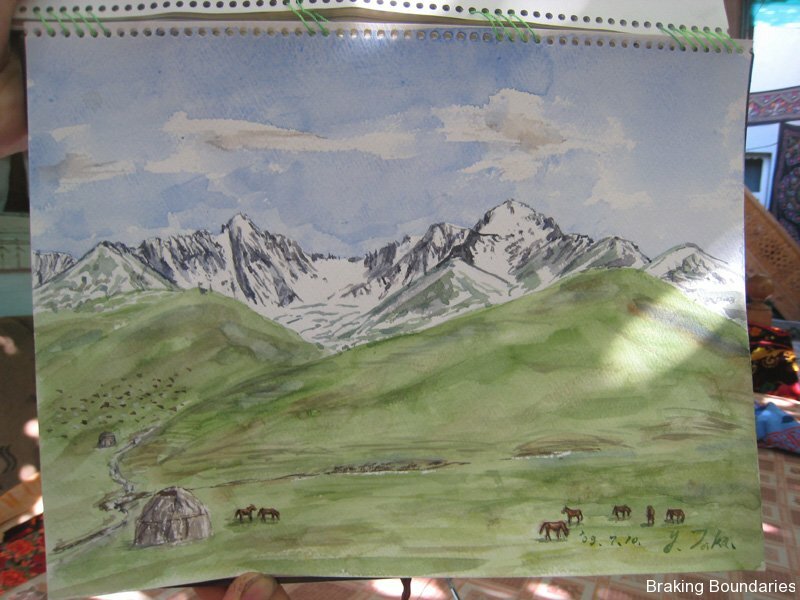 It turns out that he paints different scenes that he sees along his bike trip. 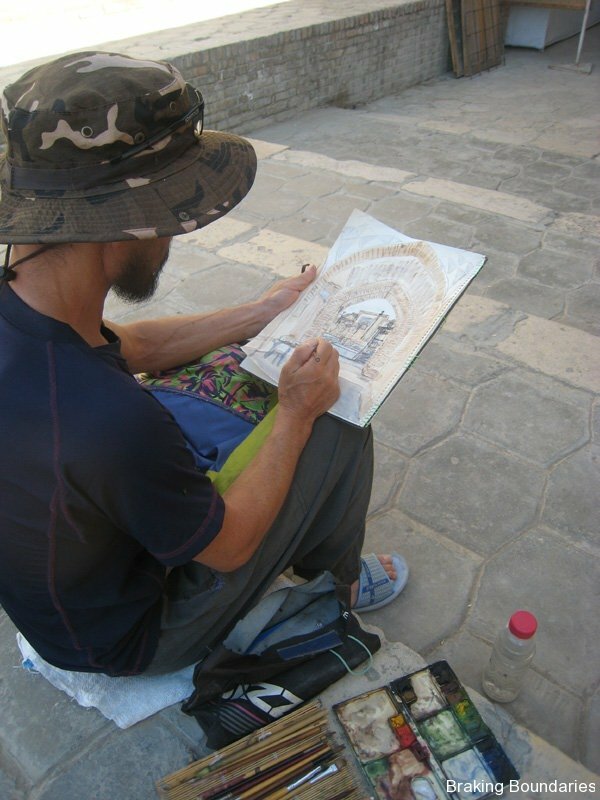 We caught up with Taka again in Uzbekistan where I got the opportunity to look through his paintings. Taka said that when he returns to Japan he will hold a small exhibition of his paintings. 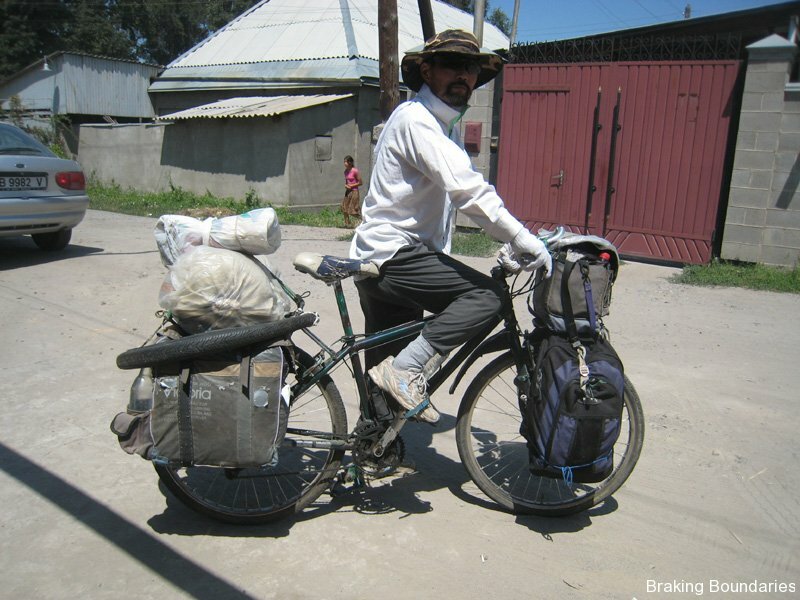 He has been going on cycle tours all over Asia and Europe each summer for the last 10 years and returns each year to Japan for harvest season. We wish him luck for his future travels.